Unless you’ve been living under a rock, you’ll have seen Stacey Dooley’s latest investigation Fashion’s Dirty Secrets which uncovers the impact fast fashion is having on our environment (mate, I’ve already been writing about this – already got my finger on the pulse, but I’m no Stacey Dooley with a series on BBC and as large an audience, so it’s not blown up before) but one thing the investigation failed to cover (other than not buying more) was what we can do as consumers to help our planet. So I’m going to give you some pointers as to what you can do to reduce your clothing footprint on the planet. If you think about the amount of clothing you have in your wardrobe, how much of it was bought on impulse and how often have you worn these things? Chances are you’re less likely to wear the impulse buys than the considered purchases. If you’ve gone out shopping with a particular purchase in mind (like a coat for winter or some new jeans as yours have gone threadbare at the thighs – girl got thick legs), then that’s fine. 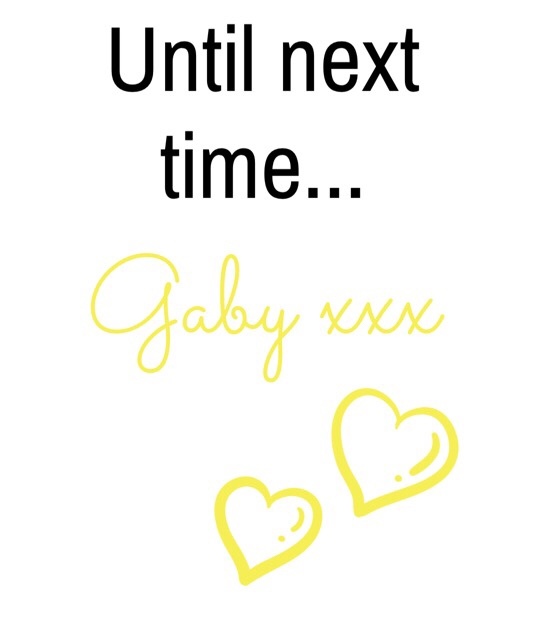 But going out to buy trend pieces at a bargain price, which you’re not going to continue wearing isn’t helping the environment when it comes to clearing your wardrobe. Did you know most of the stuff you donate to charity can’t be sold and ends up in landfill? No, I didn’t either. If you’ve got a small tear at the seam of your jacket, don’t throw it out – take it to a seamstress to fix up rather than chucking it in the bin. 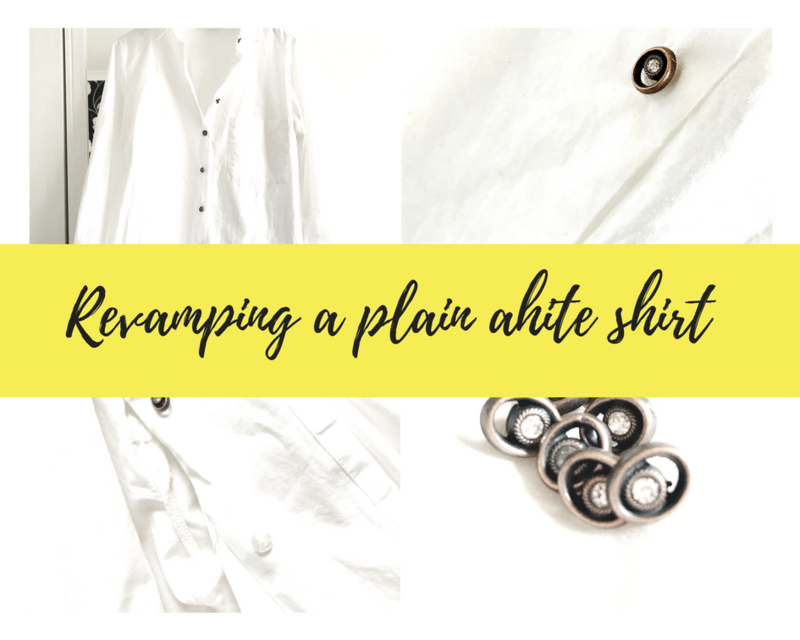 If you’re bored of your shirt, upcycle and change up the buttons (check out my post on how to do that here! ), hey creative – the possibilities are endless! 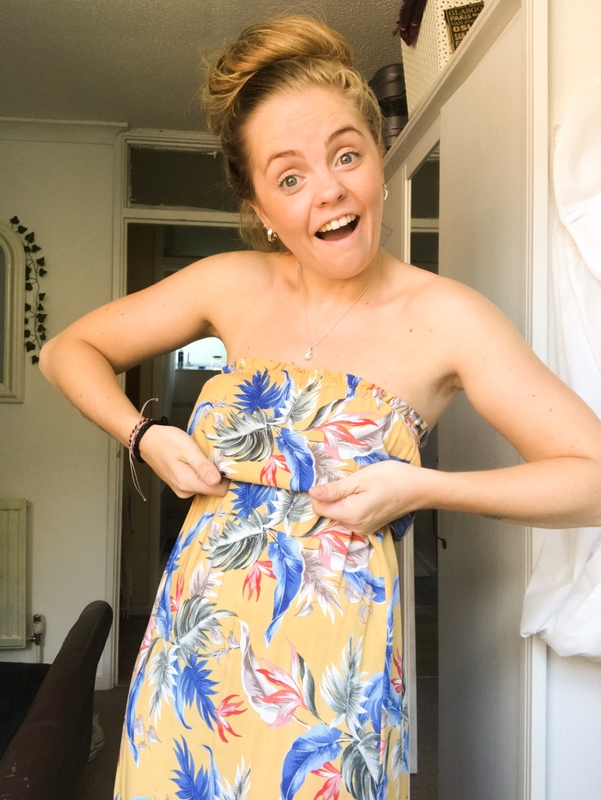 I’m yet to do this, but bring a bag of clothes to a mate’s house and do a swap of what you intended on donating with each other – I’m sure you both – or all if you’ve got more mates to do this with – have seen bits you’d love to have of each other’s, so this is a more sustainable way of de-cluttering your wardrobe. Again, this one kind of ties in with the first point, but buying something well constructed with quality fabric that you know you’ll get a lot of wear out of is more sustainable than a cheap pair of leggings that’ll start showing your knickers after two wears and inevitably end up in the bin. COST PER WEAR – we’ve spoken about it on here before and it’s something that not only applies to your pocket, but the environment too. Just imagine each piece of clothing you’re throwing away as actual cash on fire – I’m sure you’ll second guess those leggings. If you know a company isn’t sustainable, BOYCOTT THEM! 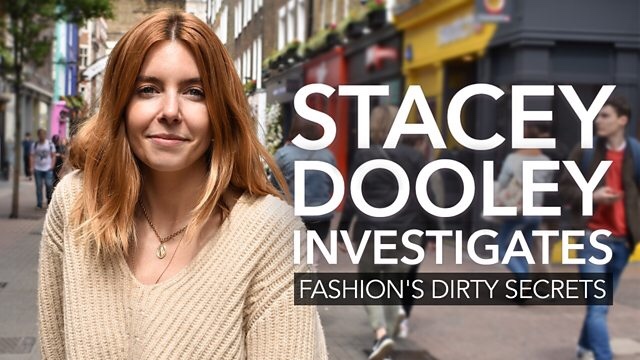 Don’t buy from retailers that are renown for being unethical and unsustainable – like Stacey Dooley said “hit them in their pocket”. The only way big brands are going to truly understand and listen is if their profits start to fall and their consumers are shouting about why that is. Don’t forget that I’m writing a series of posts investigating our favourite high street giants, which will hopefully help you decide on who to shop with. I’ve covered Primark, H&M and New Look so far, make sure to check them out! eBay is a wonderful place full of everything you could imagine, from gadgets and homeware to clothes. 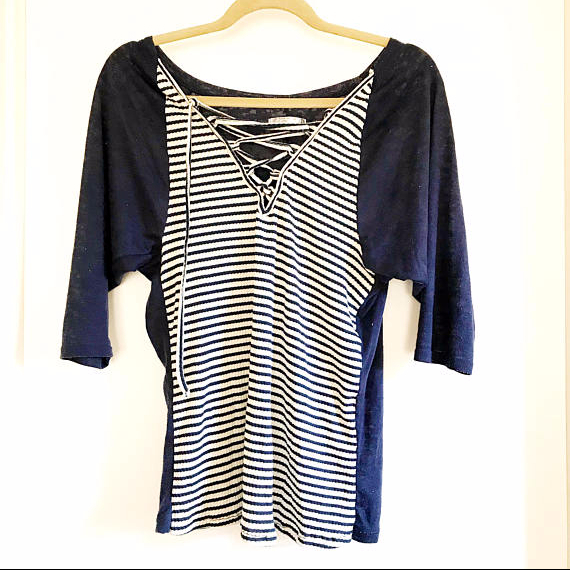 I love to check out what people are selling second hand and it’s my go-to place when I’m after something designer (if you want some tips for buying second hand designer, make sure to check out this post). I always make sure to search second hand sites when I’m after something online and it’s always great to flog your old clobber for pennies in your pocket and a happy customer! I also love hunting around the charity shops and vintage stores; you can find individual pieces or designer wear at a bargain! Let me know whether you watched the documentary or if you’ve been making any steps to be more sustainable with your clothing in the comments below and make sure to share if you think your friends might find this helpful! That’s really sad about the charity thing 🙁 I thought everything got sold on! I buy a hell of a lot less than I used to but I still have a lot of clothes and I’ve got two piles of stuff at the mo that I need to either sell on or give to someone/charity. It’s so hard sometimes to know what to do with everything, it’s crap that the world is just being completely bombarded with so much stuff! I am desperate to watch this documentary now, I’m going to get on it within the next week!